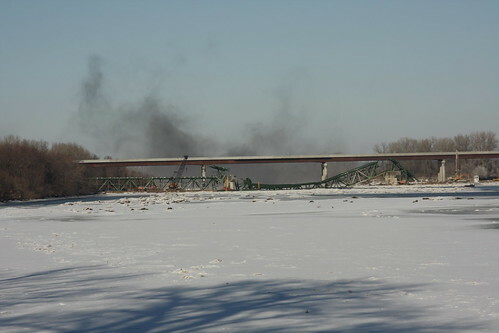 Final Blast Sequence of the I-70/Kansas Turnpike Bridges over the Kansas River: 13 January 2010. 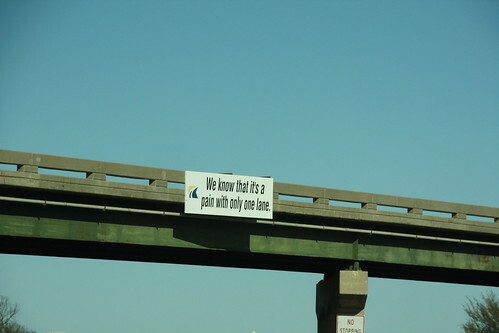 The Kansas Turnpike authority added some banners along the I-70 construction zone near Lawrence. 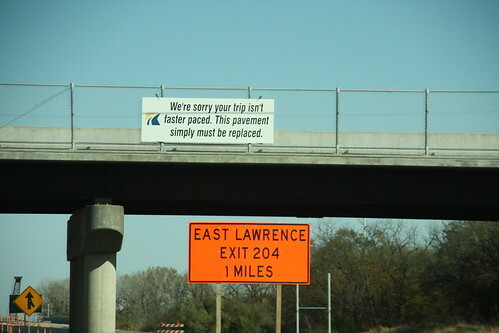 The temporary configuration of the westbound on-ramp at Exit 202 on the Kansas Turnpike does not allow for a sufficient acceleration lane. 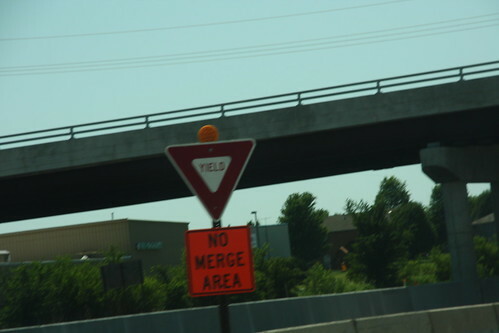 Therefore, orange signs were placed warning that drivers will have to either flow into traffic right away or be faced with an extended yield. 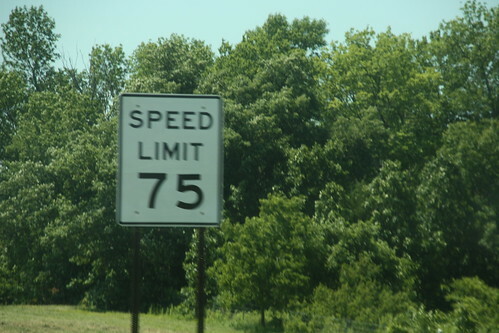 At the end of the consruction project on westbound I-70, this is my first encounter with the 75 MPH limit that was brought into effect that day.